Welcome!! I first wanted to start off by saying how excited I am to announce my new service that I am so excited about! Endless Glow! Many of you have heard about Endless Glow I'm sure... the newest, safest, sunless way of tanning. As I have become more educated throughout the years on how harmful the suns rays can be to your skin, have seen family members who have struggled with the after affects, and have heard horror stories of skin cancer...I became passionate about this new business opportunity. Sunless airbrush tanning shows off itself by providing a flawless and beautiful glow that makes you LOOK and FEEL amazing. 5. Do I have to get naked? 1. YES, YES, and YES!! It works awesome! 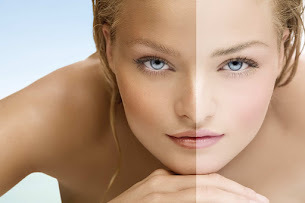 I, and many other clients can attest that it works so much better then your typical spray booth and even tanning beds because with the help of an actual technician you are able to get a soft, even color tan with no discoloration. 2. NO, No, and No!! Once you come and give Endless glow a try, I PROMISE you are going to love the bronze glowing color. I have seen many of the machine spray colors, I have seen lotions, I have seen gels, and I have seen the aerosol spray cans. Endless glow solution is made with salon quality products that are going to give your skin the glow you have always wanted. That is the reason I chose to be an Endless Glow rep is the color! 3. On average Endless Glow lasts approximately 7 days. Some even say up to 2 weeks. It really all depends on how your skins exfoliation process works. Endless Glow also offers an amazing tan extender lotion that helps with that process of keeping that long lasting tan even longer if wanted. I love it and recommend it! 4. A single spray is $25.00 I will always have some type of special running for the month. 5. You can wear WHATEVER you are comfortable in!! If you do not want any lines, the less clothing the better, but if your comfort level is a swimming suit, a tank and shorts, sports bra and underwear...etc. You will be in a separate room with my Endless Glow Tanning Tent where I myself will be spraying you in the privacy of my own home or yours. My whole goal is to make women feel confident, comfortable, and leave my home feeling better about themselves and our role as women! You will love the way you look! Special tan price the week of your birthday: $5 Off and 10% discount on products. Discounts for bridal parties and tanning parties - I offer tanning party discounts when you have a party of four or more guests and the host is FREE. Each attendee pays only $25. There must be four confirmed guests prior to arrival to receive the tanning party special in addition to product discounts. An Endless Glow Gift Certificate is the perfect gift for the holidays or birthdays and Mothers Day! Please contact me to find out how to purchase a spray tan gift certificate.